We begin this episode with a chat about Podcast Movement and Jerod decides to call Jon out on when this episode is being recorded. In the end we mutually agree that in the very least it is great to plan ahead to keep your schedule! Then we dive straight into the main topic: a discussion and analysis of Tom Webster’s presentation The Podcast Consumer 2015: from the Infinite Dial 2015 study from Edison Research and Triton Digital. Our listener question this week is brought to you by The Showrunner Podcasting Course. The course is currently open for new members until Friday, August 14, at which time it will be closed for an undetermined amount of time (but it looks like possibly the rest of 2015). To see if it’s right for you, go to ShowrunnerCourse.com for complete details. And this week’s listener question comes to us from Mitch Todd (@mediamitch). Mitch asks how to create podcast show art that grabs the attention of iTunes visitors and encourages them to sample your show? Also, if you’re starting a new podcast, this is one more potential show stopper for some people. Can they create something decent on Canva or PicMonkey for now, so they can get the show going on iTunes and get something better later … or should they wait until they’ve got the perfect artwork before they submit their show to iTunes? Jerod and I provide our answers. And finally, this week’s podcast recommendation. Welcome back, showrunners, to episode number 19 of The Showrunner podcast. I am Jerod Morris, VP of Rainmaker.FM, and I am joined, as always, by host of Hack the Entrepreneur and defender of humanity, Jonny Nastor. And, Jonny, have you recovered yet from the heat of the Dallas-Fort Worth Metroplex? Jonny Nastor: Yes, I’m back up to the cold of Canada and kind of enjoying it. I guess I’m used to it, you know? I’m just used to the cold, but the heat’s nice. Jerod Morris: Don’t take offense to this. I’m going to call you right out for being a liar. Jonny Nastor: I almost called you out for being a liar. I was like, “That’s not cool of me. That’s not cool of me at all.” Then I realized that’s not cool of me, so I didn’t do it. But what were you going to say? Jerod Morris: There’s a reason why I’m calling you out for being a liar. There’s a purpose. Even though this episode is coming out August 5th, we actually haven’t gone to Podcast Movement yet. We’re recording this the Monday before Podcast Movement. We’re doing that because, obviously, there’s going to be a lot going on this weekend when you get in town for Podcast Movement. Obviously, we have a lot to do to the get launch ready for The Showrunner course, which is now live as this podcast episode goes live. So folks can go to ShowrunnerCourse.com and check out the full launch. Between that and we both have presentations at Podcast Movement. Rainmaker Platform is the platinum sponsor, so I have a lot of stuff to get ready for that. There’s just a whole lot of moving parts going on with Podcast Movement. We didn’t want to have the burden of trying to record an episode either later this week or after the event. To record after the event, it would have to be Monday or Tuesday for Wednesday. We just didn’t want to risk not having an episode ready and possibly having to miss our schedule. That’s why we’re recording this episode early. We’re telling everybody about it just to further accentuate the importance of, number one, keeping your schedule, that sustainability, and number two, planning ahead — so getting episodes ‘in the can’ if you’re going on vacation, or to a conference, or you just anticipate some kind of heavy work load. I did kind of lead you into a lie with that question, so that’s really my fault. I apologize for putting you in that position. But there is a point to it, and that’s the point. That’s what the point is. Jonny Nastor: Well, all right. I’ll take that. That’s fair enough. That’s fair. This is also why we tell people to have at least a month’s worth of episodes before launching, unless you’re having a super, real-time discussion about stuff. Then obviously you can’t, but typically shows aren’t like that. This allows you some leeway. There’s vacations. There’s conferences. There’s other things to do in life besides just podcast. It’s good to have that buffer between what’s going live and what isn’t. Sometimes you can do that. Sometimes you can’t. But it is always good to start with that at least. Otherwise, that’s why I think people don’t make it past seven episodes. All of a sudden, something comes up, and “My episode’s due tomorrow,” and “Oh, I can’t. I have this dinner party.” And now they miss. Once you miss one week, then it’s like “Oh, I’ll miss the next week”, and then it’s easier and easier. Jerod Morris: Yeah, it’s a slippery slope. Jonny Nastor: It is, totally. That’s why the focus is always on really just hold back from launch. Just build up. Build up a buffer. It’s good to have. Jerod Morris: Yeah. And just so you know, we will talk about Podcast Movement. I fully anticipate that we learned a ton at Podcast Movement. We will do episodes. Probably next week’s episode will be reflections of what we learned at Podcast Movement. So we will be talking about that. But we wanted to make sure we didn’t miss this episode, so we recorded it before Podcast Movement. We do have something extremely relevant, timely, and important to discuss with you on this episode. And, well shoot, let’s just get to that right now, what do you say? Jerod Morris: All right. On to this week’s main topic. For today’s main topic, we’re going to talk about the Podcast Consumer 2015 Study. It’s actually an Infinite Dial 2015 study from Edison Research and Triton Digital. Tom Webster presented this in a webinar, and he actually presented this back in June. We haven’t had a chance to talk about it yet. We want to talk about it right now. There are some really interesting numbers and some really interesting observations from Tom that we think everybody needs to be aware of. The link to that will be in the show notes. There’s both a SlideShare that highlights some of the major data points of the study, and there’s also a replay of the webinar. I watched the whole thing, including the Q&A at the end. I highly recommend everybody do that. I think it’s extremely beneficial, extremely relevant. There are a few highlights that we want to talk about today. At the end of the webinar, Tom actually has some marching orders that he gives everybody who’s watching. I figured going down the marching orders and using that as the guide for this episode of The Showrunner would be good. The first marching order from Tom is this idea of ‘sell your audience.’ What you find when you go through the study and as Tom presents it, or simply as you go through the slides and the data points, is just how incredible really the podcast audience is. It’s an extremely unique audience that, as podcast recognition and consumption has grown, really represents every demographic. Now, the study is for the US. Let’s say that upfront, but it represents every demographic. No one is really left out from podcast consumption. What has happened over time is that the percentage of, take ages for example, the age percent of people listening to podcasts is very representative of the overall age breakdown in the United States. Those trends are looking good. But where podcast audiences actually jump ahead of just your normal, average content audience is that podcast audiences are more affluent, more educated, and more engaged with both social media and brands — which makes them, naturally, an advertiser’s dream. We’ll talk about what that means here in a little bit. I know that a lot of people listening to The Showrunner podcast, some people are using advertising. Others are not. They’re using it more from a content marketing perspective, kind of that indirect profit that we talk about. The podcast audience is really well-suited for that. If you’re selling business services or products, this is exactly the type of audience that you want — an educated audience that’s comfortable with technology, that’s affluent, again, that is really engaged online. So when Tom says ‘sell your audience,’ in addition to selling it to advertisers, we want to come on here and sell it to you — listeners, showrunners, people creating shows. The audience that you’re speaking to is a really advanced audience. Not only should we respect that, we should celebrate that and really be excited that we get the opportunity to create these shows for that type of an audience. Any thoughts on that first marching order, Jonny? Jonny Nastor: No, I really like that, and I really agree with it. It’s something that maybe we do undervalue. Lots of us came from blogging, and we just assume it’s the exact same audience, but now in an audio format. Well, it’s not true. The numbers tell us differently. It is interesting. That’s key when you are obviously looking for sponsors and stuff — the ability to sell that difference. Not everybody gets it. I’m glad that there’s lots going out. Fast Company’s writing about this. Inc. is writing about this. Entrepreneur.com is writing about this. You can read these things in more and more places now. Places like Midroll and stuff, they’re huge proponents of this because they want to be able to get more money for advertising. So it is going to take time to, I guess, convince all advertisers of this. But it’s absolutely true. It’s interesting, fascinating statistics. I would like to know why it’s actually like that. But it’s interesting. I guess because it’s the technology. It’s being pushed forward, so it’s a more advanced thing. It’s interesting. It’s really, really cool. I like it. Jerod Morris: Yeah, and it trends along with smartphone ownership. Obviously, the more people who have smartphones and who use that for consuming content, you see those kind of being in line. Either way, the bottom line is really good for showrunners, for people who are creating content. Jerod Morris: Tom’s next marching order is ‘explain the medium better.’ He has a great example of the Wikipedia page for podcasts actually has one of those little notes at the top that says, “This item may be too technical for some users.” As we start to talk about podcasts gaining wider ‘ear-share’ — it’s a term that they use — and just wider recognition and acceptance, podcasts are already very widely recognized and listened to. The latest numbers are that 33 percent of people have listened to a podcast in 2015. That’s up from 11 percent in 2006. Seventeen percent have listened in the last month. The numbers continue to go up. That 17 percent number, it doesn’t sound big, but it’s 36 million people. It’s a big number. What Tom is saying is we have to get better at explaining the medium. Maybe we’re boxed in by this term ‘podcast’ when really — and everybody listening to this should love this, I certainly did — really we should just be talking about shows. Instead of it being a podcast, it’s on-demand audio content. Jerod Morris: His next marching order is ‘know what business you’re in.’ You’re in the business of creating on-demand audio content. Shows. Not just podcasts. These two ideas kind of bleed together. I loved hearing that. Frankly, that’s what we’ve been saying since day one of this show — view what you’re doing as a show. You’re creating on-demand audio content. Not just these podcast episodes. You’re creating something bigger, something cohesive, something that takes an audience on a journey. Helps transform them. That’s really the key as we look forward to this medium growing and becoming more meaningful, both in the eyes of advertisers and also in the eyes of a more wide audience even than we have now. I know, Jonny, we were both excited to hear Tom using the term ‘show,’ and both agree with what he’s saying here. It’s one of the foundational elements of what we’ve been talking about on The Showrunner. Jonny Nastor: Yeah, it absolutely is. It’s interesting, too, because we often just refer to it as, “it’s just podcasts.” Then we think of it as different than audio content as in the format of, say, radio. But every radio station now, well most, almost all, all the big radio stations and the ones who know where things are going, are interestingly enough, posting their shows as on-demand audio, as well as live broadcasted on the air. They see the way the format’s going. It’s like television. Everybody thought that people wouldn’t want DVRs, and people wouldn’t want on-demand television. They’ll just be sitting down at 8 o’clock at night with everyone else. It’s like, well, no. Once the option came to us that we could have it on-demand, that’s what people wanted. Now, you can watch your shows on-demand with Netflix or anything. These are massive businesses because we’re just understanding this. So radio is understanding this, yet — which is funny because they’re trying to mimic what we’re doing in the podcasting world — but, somehow, us in the podcasting world aren’t realizing the benefit of what we already have and why live radio is trying to come to us. That’s where the audience is. That’s what the audience wants. You have to give them what they want in the format that they want it. I think it’s a really big mind-shift that people need to make when you’re producing these on-demand audio shows is that that’s what it is. That’s why radio’s coming to us. This is the format that people want, not the other way around. They’re not coming to podcasts. They’re coming to on-demand, but still a well-produced radio show — which is what we need to create. Jerod Morris: Yes. Absolutely. Then, the next and final marching order from Tom is to ‘measure it better’ as we look at the future of on-demand audio content as a medium. What I love about what Tom is talking about is he’s really talking about viewing the $15 billion dollar audio market as where we are, where we should aspire to break into and get a piece of. The key to getting the Geicos and Progressives of the world, who spend more money than anybody on radio advertising, to pony-up for podcasting is to measure it better. Companies want to know how many people listen, who are they, what are they interested in buying, obviously, so they can target advertising in the right way. Those of you listening, there may not be a lot that you can do to measure it better — but you certainly can be willing to try out new methods of measurement and to make sure your show is on the cutting edge as measurements grow and as new technologies need to be tested. I think that’s really the next big step is how to measure it better. Not just for advertising, but for ourselves — to know who’s listening. How often are they listening? Who are they? That will allow us to create better shows, to target it better to an audience, to create better products and services — if that’s what our show is geared toward promoting. It’s not just for companies to buy ad spots. But that’s really, as we look into the future, and we talked about it before, the next step — improving how we measure, improving the depth of measurement. Right now, it’s not great. We all know that, and it’s a frustration that we all have. The part that we can play is to be ready when new methods of measurement come out — to try them, test them, make them better. The sooner we get to that point, the better off everybody, obviously, is going to be. Jonny Nastor: Yeah, exactly. I like it. Jerod Morris: I want to end with three quotes. Look, there’s a lot more to this than what I’ve said and what Jonny has said. We’ve given you an overview. So, again, if you go to Showrunner.FM, you can find the show notes for this episode. I would go there, and I would highly recommend checking out the Slide-Share or even watching the entire webinar with Tom, who did a great job. Jerod Morris: There were three quotes that I want to pull out. I love them. In part, because he’s basically saying stuff — well, he’s probably been saying it for 10 years, we’ve been saying it on The Showrunner ever since we started — and, it’s nice to see validation like that from a guy like Tom. But he said, “It’s not the channel. It’s the content.” He’s actually quoting his wife here. Basically saying, “Do we think the podcasting is something different? Or is it really just on-demand audio content? Are these just shows?” You know where we stand on that. The next quote is, “We risk thinking about podcasting as its own special snowflake, and not as simply great content on-demand.” By doing this we remove ourselves from this $15 billion dollar audio market. Why would we do that? People don’t view consumption that way. There’s a certain amount of ear-share that we can all get. We basically need to create compelling on-demand audio content. No matter what other term you want to put on it, that’s what we need to be creating to get that share of ear that we want. Then, finally, as Tom says, “I just want to make great shows, and I just want to listen to great shows.” I almost think if we were to sum up like our main overarching idea at The Showrunner, that’s why we do this, Jonny. I want to make great shows. I love making great shows. And I want to listen to great shows, which is part of why we want to help people create better shows. I love that simple, profound, two-sentence statement right there. I think he’s spot on. Jerod Morris: Yeah. Sometimes we over-complicate it, but in a lot of ways, it really is that simple. Jonny Nastor: Maybe I’ll actually try and use that on stage at the On-Demand Audio Content Movement this weekend. Jerod Morris: I think you should. Jonny Nastor: And I’m only referring to it as that from now on. Jerod Morris: That’s awesome. All right. Well, speaking of making great shows and listening to great shows, we are going to go next to our listener question, which includes a special message from the sponsor of this week’s listener question. That’s coming next. The sponsor for this week’s listener question, as I’m sure you assumed, is The Showrunner Podcasting Course, which is back. The launch is on. It started August 3rd. It’s going through August 14th. We do not know when it will be coming back, but we know it will be open for these two weeks. If you go to ShowrunnerCourse.com, you can see everything that is in the course. You can see what you need to do to get registered. A couple of things that I will tell you, is if you sign up these two weeks, you get everything forever. Part of the course is on-going, recurring training. We do Q&As, webinars. We do usually two a month. We have an incredibly lively, active, and enthusiastic community of showrunners that you’ll be a part of when you join the course — which includes Feedback Friday, which is wonderful. Everybody gives each other feedback on shows, and ratings and reviews, and it’s great. That is all included in the course. In the future, there will be a recurring price to maintain access to the community and ongoing education. So you’ll get everything for a year, but there will be a price to maintain that after that first year. So, for now, you get in, you get everything forever. There’s never that recurring price. That is definitely a reason to act now in addition to simply following up what Tom was saying. 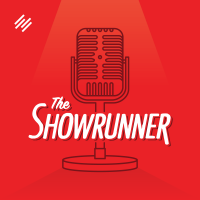 If you want to learn how to make a great show, how to develop, launch, and run a remarkable show, The Showrunner course gives you that step-by-step process plus the community that you need sometimes to give you the support and to give you that extra depth of knowledge and experience to take your show to the next level, to keep going when the going gets tough, and to make sure that you’re creating a show that is connecting with an audience and achieving your goals. Anything, Jonny, that you would like to say about the course before we jump into the listener question? Jonny Nastor: The course is awesome. That’s my sales pitch. Jonny Nastor: The one thing I want to say is, it seems like we’ve been saying, “It’s now launching, and it’s live now. It’s live now.” This is the third time in as many months. But those first two were pilot launches. We really were working out the kinks of the course, adding what we need to add, getting feedback, and growing the course into what it needed to be to do this full launch. That being said, this launch is now the full launch with Rainmaker.FM and Copyblogger. We really don’t know how long it’ll be before it’s open again. It could be three months. It could be six months. It could be nine months. We don’t know. Jerod Morris: Yeah, we don’t know. Jonny Nastor: It’s not like we’re going to open it back up again in three weeks and be like, “Okay, we’re launching again!” Those first two really were pilot launches. We’ve really completed the course, except for the live Q&A sessions we do twice a month with our showrunners. I just wanted to clarify that. This really is the launch now. It is going to close after this. And we kind of had to fight to not get the recurring price into this launch, so it definitely is coming in the next one. We wanted to be able to include everyone who has been following along for the last few months or couple of shows, whatever you happen to be around for. We want to get you in at this price and include everything that does come in the future. You will be getting it. It’s going to be a lot of fun. It’s a great community. I just hope you join us. Jerod Morris: Yep. ShowrunnerCourse.com. Check it out. 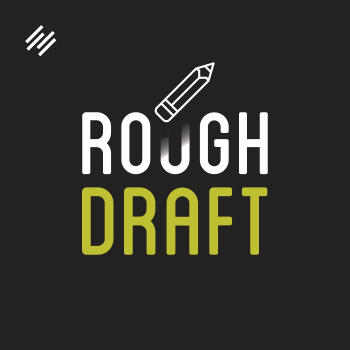 Listener Question: Can you create something decent on Canva or PicMonkey to get you going in iTunes, or should you wait for something better or more perfect before you submit the show? Jerod Morris: Now, let’s go to the listener question. This week’s listener question comes from Mitch Todd, @MediaMitch on Twitter, who is one of the organizers of On-Demand Audio Content Movement. Jerod Morris: He’s going to do it. So here’s what Mitch asks. He’s talking about creating show art. Jon, I know you have a lot of hot opinions on this, so I’m going to direct this question to you. He’s talking about creating show art that grabs the attention of iTunes visitors and encourages them to sample your show and how important this is. He’s asking if you can create something decent on Canva or PicMonkey to get you going in iTunes, or if you should hold out, wait for something better or more perfect before you submit the show. I guess there’s really two questions here. Jerod Morris: The way that Mitch phrases this, it presupposes that you couldn’t create something good enough on Canva or PicMonkey to be your final show art, so take that part of the question. Then, if you don’t have something perfect, should you still launch anyway, and then update it later? Jonny Nastor: Right. Let’s do the first question. The first question, Mitch words it really, really well. Which is show art that grabs the attention of iTunes visitors. Absolutely, absolutely important. In the episode before this, episode 18, we talked about the whole research phase, stopping before starting, and just taking in as much as you can within your market. That was listening to as many shows as you can, but it’s also this process of going through iTunes, looking at the New & Noteworthy, looking at the shows that are in the top 10, the top 20, the top 50, the top 100, and exactly like Mitch says, create artwork that grabs the attention of iTunes visitors. I’ve seen this in so many markets. You can go into, say, the health and fitness market, and you’ll see that eight of the top 10 shows are all a greenish color. So if I want to stand out in that market, in the top 10, I’m probably not going to create one that looks exactly like the rest. I’m going to go the exact opposite direction and make something that literally stands out. It’s really as simple as that. And if you’re into health and fitness, I totally made that up. I have no idea. It’s just health and fitness and green seem to make sense. But you do see these trends in markets because people do, obviously, it’s like, “Well, that show’s the top show, and it’s blue. Then I’m going to go blue.” And, all of a sudden, you get this big trend of blue shows. It’s shocking how much this works, like the way people do that. You just have to go against the trends to stand out. It still needs to make sense. It still has to fit your audience of one, but literally, make something and research, and then make something that stands out. That’s the best take I can give you on that. You really do, truly, just want to stand out in that. Then, the whole thing about creating it with Canva or PicMonkey, I would definitely wait until you get something better, unless, if you’re a designer, obviously. But if you’re a designer, you’re probably not using Canva or PicMonkey. I’m going to make the assumption that you’re not a designer. Therefore, you shouldn’t be doing the design. You can get design work done quite cost-effectively with 99designs, with Fiverr, with maybe some friends you know on Facebook. Just find somebody. Reach out. See if you can trade work. If that’s what it takes, that’s what it takes. But it’s very, very, very crucial. iTunes at the beginning is going to provide you with 80 to 100 percent of your new traffic. And that’s because you stand out. That’s because you got noticed on the massive search engine of iTunes. I don’t actually know what exactly PicMonkey is, but to me, it just seems like someone’s going to be using Microsoft Draw or something that’s all squiggly and just terrible looking. It’s not going to work. You’re not going to get noticed — at least not in the good way that you want to be noticed. I would find any means. Decide what your resources are. If you don’t have $30 to find artwork on Fiverr and to work with people, then literally reach out, and try and swap with people. It happens all the time. People do it in Facebook groups all the time. You can do this. Don’t just let it stop you. That’s not a reason to not become a showrunner. It absolutely isn’t. That being said, you won’t become a Showrunner by just doing sort of a half job and not doing good artwork. It’s just the way it is. Jerod Morris: Yeah. I have updated artwork and created artwork for a new show recently. For The Assembly Call, I spent about $300 bucks with 99designs to create a brand new logo, which works both as iTunes artwork and then also just a logo for branding, which we didn’t have. For the Primility show I recently launched, I did that with Canva. I did create that artwork with Canva. Now it includes a high-res image and some of that. Feel free to check that out if you want tom to see what can be done with Canva, but yeah, I generally agree with what you’re saying there, Jonny. Jonny Nastor: Cool. I used Canva for the first 50 episodes of mine. I used it for episode artwork. Canva’s an amazing tool. Jerod Morris: Yep, I do that, too. Jonny Nastor: Yeah. Today, the day we were recording, my guest on Hack the Entrepreneur is actually Guy Kawasaki. He’s the spokesman for Canva. I think it’s an amazing product. I do. It’s not the product that I have a problem with. It’s most people don’t have a good design eye. I don’t have a good design eye. It got to the point where even the artwork I was doing myself, it could be done a thousand times better with Canva. I just don’t have the eye for it. I needed to get somebody who did. You probably have a great eye for it, so it helps. If you have that, then this isn’t an issue for you. You know how to create something really good. But most of us, if you’re like me, you would not want to be creating artwork. It’s not going to look good. If you have any sort of inkling that it’s not good artwork, then your audience is probably going to feel the same way. Jerod Morris: You’re the first person that’s ever suggested that I might have a good eye for anything design or visual. I appreciate that. Jonny Nastor: Luckily we’re not recording this or anything. Jerod Morris: Yeah. Exactly. All right. Let’s do some podcast recommendations. Jonny Nastor: We’re not, are we? Jerod Morris: Okay, we’re going to save your podcast recommendation for second. I will jump in and do mine. I’ve wanted to recommend this show for a while. I listened to a great episode recently, so I’ll recommend it now. Ted Radio Hour. They recently did an episode called Transformation, which includes a great story about the son of one of the guys who was convicted in planning the first World Trade Center bombing and how he overcame growing up in that very militant, extremist Muslim household, to grow up and reject that, and become someone who, basically, crusades against terrorism, against bullying, and against hate. It’s a really fascinating story. And, there’s other good stories in there as well. But what I love about this show and why I wanted to use it here, is because Ted Radio Hour is a great example of re-purposing. They take existing content Ted Talks, which we all know and love, and they re-purpose it into a new format where they’re basically curating themselves and adding new value. Guy Raz does this. There’s a topic. They choose three or four of the Ted Talks. They intersperse clips from the talks with actually new interviews with the person, so there is new content in here. And it becomes this cohesive hour that really can be educational, entertaining, and inspiring — just like the best Ted Talks are. So it’s really good. You’ve probably listened to it. But if you haven’t listened to it, check it out. If you have listened to it, really make sure you look at it from that sense. You can do this with old shows, if you’re part of a network, and you want to do it. But this idea of re-purposing, or even curating yourself as a way to create new content for your audience. Jonny Nastor: Ted Radio Hour. Jerod Morris: Yeah, Ted Radio Hour. Jonny Nastor: Isn’t that really like 10-minute episodes? Jerod Morris: No, they’re hour-long episodes. Jonny Nastor: Gee whiz. I wanted to point that out because I love that the title is so explanatory in that. Jonny Nastor: You know exactly what you’re getting. You already know Ted. Now, it’s radio, so you know you’re getting on-demand audio content. And it’s an hour. Ted Talks are typically, there’s the 22 minutes, or the 21 minutes or whatever happens to be. The actual Ted Talk, there’s that certain format, so that’s cool. I love the way I know exactly what I’m getting. I know if I’m this audience or not. I’m not going be surprised. That’s awesome. Jerod Morris: Yep, I like that. Sorry. Cool. Jonny Nastor: I wasn’t trying to catch you on that one. Jerod Morris: Oh, I thought you were. Jonny Nastor: Okay, my recommendation is, I’ve done this a few times, but I’m going to do it again. It’s from Rainmaker.FM. It is a great new show by the one and only Brian Clark, CEO of Copyblogger Media. His show is called Unemployable. It’s actually the only podcast I’m listening to right now. They’re really, really good even if you don’t consider yourself unemployable. What I’m trying to learn from this, or what I’m going to learn from this from watching this sort of evolve, and why I recommend it to you, is that even if you’re not super into the topic, I know that Brian knows how to build an audience, then monetize that audience, and turn it into something more. He’s going to go through that process in real time, in front of us — which is really cool. He has this logged in experience. You sign up to Unemployable.com for free, and then there’s going to be webinars. He actually provides the show notes and everything within a logged in experience for you, which is really, really cool. He hasn’t provided anything, and then the webinars haven’t started. He hasn’t really said what exactly they’re going to be yet. I think he’s getting feedback from his audience and asking them questions, so we’re going to sort of see that evolve. I’m really interested in watching to see how he actually does it. He’s a smart, smart guy, and he knows how to do it. There’s going to be a lot to learn for anybody in any market. Like I said, whether you’re into being a freelancer or solo entrepreneur, you still, I think, should pay attention and see how he does it. This could be then taken to any market that you happen to be in, and I think you could probably take it very, very successfully. Unless he falls flat on his face, which I really doubt. But it’s going to be really interesting to watch it unfold. So Unemployable.com or Rainmaker.FM, you’ll see Unemployable. Jerod Morris: Yep. Agreed. That one, it’s going to be really fun to watch that unfold. I agree. All right. Well, that wraps up episode 19 of The Showrunner. We will remind you to go to ShowrunnerCourse.com to check out the course. Again, the launch is going on from August 3rd through 14th. However, if you’re not ready for a paid course, and maybe you’re not, maybe this is your first time listening, and you just want more information about who we are, what we do, what we teach. You can go to Showrunner.FM and if you sign up for the email list, if you’re not on it yet, you’ll get our free content series. It’s the Four Central Elements of a Remarkable Podcast. It is dripped out via email over the course of a week. It basically explains the pillars of our curriculum here, of our showrunning philosophy. Feel free to check that out. If you start it now, you can get the whole thing in a week, and then still decide at the end of that week if you want to join the course because it will still be open. You can get that at Showrunner.FM. There’s a big old form right there. You can’t miss it. Put your email address in, and get on there. We’ll start sending that to you. All right, Jonny. It’s a pleasure doing another episode with you. Jonny Nastor: Yeah, it was a lot of fun. Sorry I lied to you earlier. Jerod Morris: It’s okay, I won’t hold it against you. Jerod Morris: And you tried to trick me with your trick question. Jonny Nastor: I did try. Gee whiz. God dang it. The best thing is, I didn’t just try. I actually succeeded at it. Jerod Morris: You did it without even trying. I guess that’s really sad on my part. All right, let’s get out of here before I make a fool of myself any further. Jonny Nastor: All right. This was fun. Take care. Jerod Morris: It always is. We’ll talk to you next week, everybody.